(click to enlarge) What The Mall will look like after works this year. KERRY County Council has released images of what the The Mall, Bridge Street and Russell Street will look like after proposed works later this year. The images were released as part of the public consultation process, which has commenced in recent days in relation to the materials to be used on The Mall. 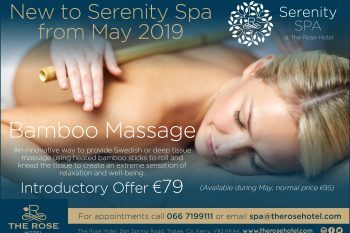 The plans can be inspected at the offices of Kerry County Council in Rathass and Prince’s Quay as well as online at www.kerrycoco.ie. Submissions can be made until June 24. 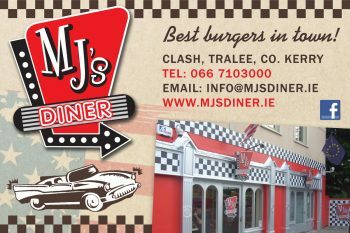 Council engineer Eamon Scanlon is to meet with members of Tralee Chamber Alliance tomorrow night after some traders expressed concerns about the upcoming work on Denny Street and The Mall and the effect it will have on their businesses and the look of the town during the tourist season. 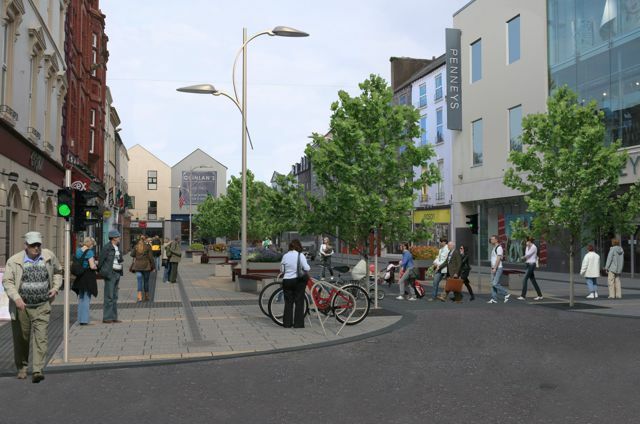 It is envisaged the work on The Mall/Bridge Street/Russell Street will begin in the autumn. 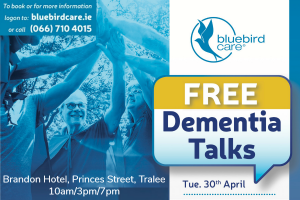 The broad thrust of the proposals were approved by councillors during discussions on the Tralee Transport Strategy in 2013, but a request was received from the councillors that the materials to be used on the revised layout in The Mall area would be the subject of further consultation. (click to enlarge) What Bridge Street will look like following the work. It is for this purpose that the details have been put out to consultation this week by way of seeking Part VIII (of the Planning Act) planning approval. 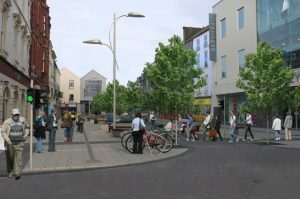 The wider issues of parking provision, taxi spaces, and two-way traffic on Denny Street were dealt with following a period of extensive consultation ahead of the adoption of these proposals by councillors in April 2013. • Introduction of the 30km/hr. speed limit zone in the Town Centre. 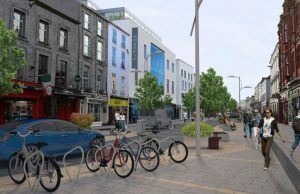 • The proposal includes three level surfaces or shared surface areas, one on lower Rock Street, one beginning mid-way on Russell Street to mid- way on Bridge Street, and a full level surface from Bridge Street to the end of the Mall. (click to enlarge) What Russell Street will look like after the works. • New controlled crossings as follows; A) A zebra crossing on Bridge Street to replace the existing (Caball’s), B) A signalized crossing on the Mall (Quinlan’s Fish Shop) and C) A signalized crossing at the end of the Mall to replace the existing zebra crossings. • The existing pedestrian crossing on Rock Street to be upgraded. • For the shared space areas, the carriageway will be reduced to 3m wide and finished with a dark fine picked granite stone. 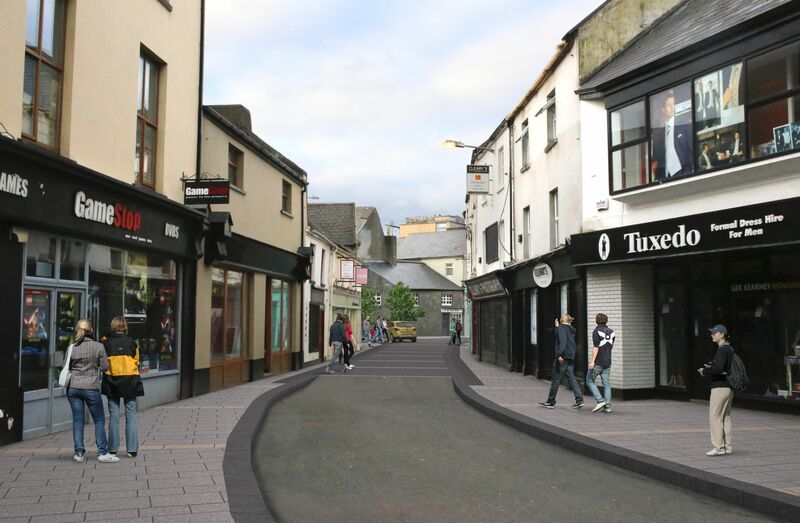 • The additional road space will be given to the footway, and the materials will have two shades, a grey and a yellow grey granite and of two varying stone sizes, larger than the carriageway areas. 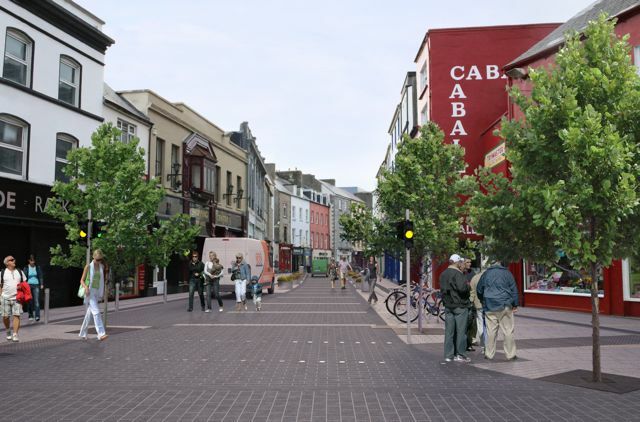 • Street furniture, seating, planting and bicycle parking to be incorporated into Bridge Street and the Mall. (click to enlarge) What The Mall area will look like after the works. 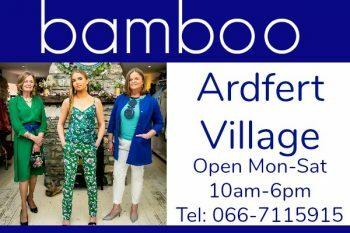 • Three loading bays to be provided between Bridge Street and the Mall. 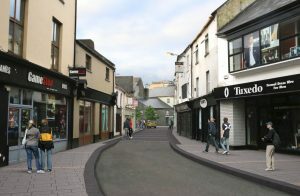 A separate consultation process is underway for the works on Denny Street (under Section 38 of the Roads Act as the works require a change to traffic flow) following the adoption by councillors of the Part VIII consultation which occurred in relation to those works prior to the adoption of the Tralee Transportation Strategy in 2013. The works there include the reintroduction of two-way traffic, parallel parking, additional pedestrian crossings and the relocation of taxi ranks from the Mall, all of which were agreed in April 2013. 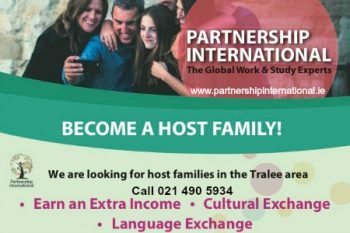 Submissions can be made until 31 May. The paving in the square and on ashe street quickly degenerated, its true, indicating poor workmanship or incorrect materials used. It cost a lot of money and I imagine a similar problem might plague this new developement.. The square has cracks and has or had loose slabs, jutting out. Surely something has been learnt since the use of paving on the fat mile.Time to listen to the ordinary people for a change!